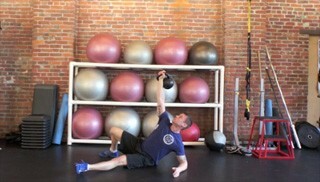 The kettlebell floor press is an upper body strength exercise that targets the chest, shoulders and triceps. 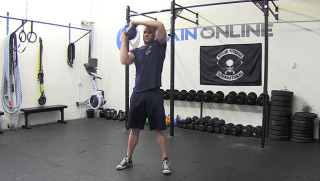 The single arm kettlebell high pull is a challenging compound exercise that targets the hamstrings and shoulders. It is a progression of the single arm swing and is a great exercise for developing big traps! 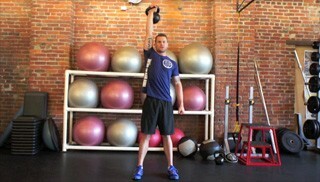 The kettlebell shoulder press is an upper body strength exercise that targets the shoulder. This exercise is suitable for intermediate to advanced fitness levels. The turkish get-up is an intermediate full body exercise that targets the legs, shoulders and core. 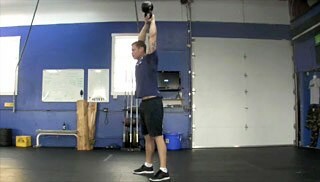 The full body kettlebell swing is a beginner level strength and conditioning exercise. 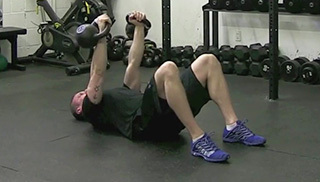 This is a great compound exercise that targets the lower body, core and shoulders.